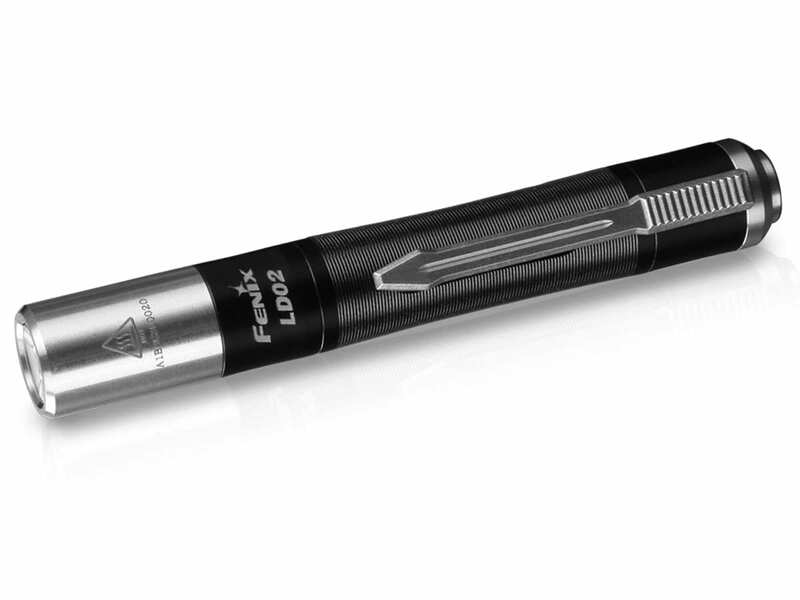 Note: The mentioned parameters (lab-tested by Fenix using AAA alkaline and Ni-MH batteries) may vary between flashlights, batteries and environments. *The runtime on High output is the accumulated time if High is reselected when time-limited downshift activates. The light will accumulate a lot of heat when used on High output level for extended periods. When the light has been used on High for 1.5 minutes, the light will automatically step down by a few lumens until 50 lumens is reached to reduce the temperature. High mode can be reselected. Too many features; light is yellow, not white. Liked my old one from you much better; too bad you stopped mfg it. Very handy size, sturdy product. Small, but not an unusable small, easy pocket fit. The tail switch works well, but there is a fine touch to change modes, once you get used to it, your good to go. I’m not a fan of the warm led light but everyone is going to them . I understand the tactical advantage of them . This is a great little edc light that has a useful up light built in good to charge u watch face or check for nasty stuff on u work area or track a wounded deer works good . Love this light. I run a bar for a living, a dim lit jazz lounge and the low light setting are perfect for a light that isn’t distracting to the rest of the room. I got this light for the UV setting while checking ID’s and it does a fine job. After I got this light I ordered one for everyone else on the floor. Well done. Nice light for the white side. The UV is completely useless, it is so weak. The whole reason I bought this was to have both in one unit, and it fails that in practice, even though not technically, since there IS uv. I like it overall. Black light would be more useful if it had a little more output. Tucks in the back of the pocket very easily, stays out of the way. Very light. 1 lumen mode is pretty nice. I’d like to see Fenix do more 1 lumen and under 1 lumen modes. I’ve been looking for a small flashlight for some time now to carry in my pocket. This one fits the bill. I’d rather the control for switching between modes was a little different, but given the fact that it’s barely larger than a single AAA battery, I understand. The light is yellow like an old incandescent bulb instead of pure white. I think colors are more true with this light rather than my normal LED flashlights. I use it on high 99% of the time and I use the UV portion the rest. Solidly built so I’m not expecting trouble. I’m happy there is a 5 year warranty just in case. A handy little light. Easy to use, the uv setting is a nice touch. Just wish it had an attachment for a key chain. As described. Ultraviolet a little weak, but overall great tool to have. The quality of construction is excellent – The intensity and brightness of the white light is excellent – I was disappointed in the intensity of the UV light. If the UV could be improved it would be a 5 star light ! Good and well made light for EDC. Top notch. Would like it if had more lumens. Fantastic little light, the UV comes in handy. So glad Fenix has started using warmer High CRI LEDs in some of their lights. Very nice and excellent quality for the price. Very satisfied with the light. The flashlight aspect is perfect. It’s variable brightness works perfect for checking id cards and bag checks. The uv light is a big help when I check for counterfeit bills and it cards but I have to try and check them away from the light since the uv is not as powerful. Still a very handy light for my line of work. Excelent little pen light,very well constructed, amazing performance. It have memory, so you don’t have to change every time you want the same intensity. I’m so happy with this flashlight, 100% recommend.